(Global Post) – “China and U.S. relations will continue to improve. There’s no other choice,” said Elaine Chao, the former U.S. Secretary of Labor, in a recent interview with Xinhua. 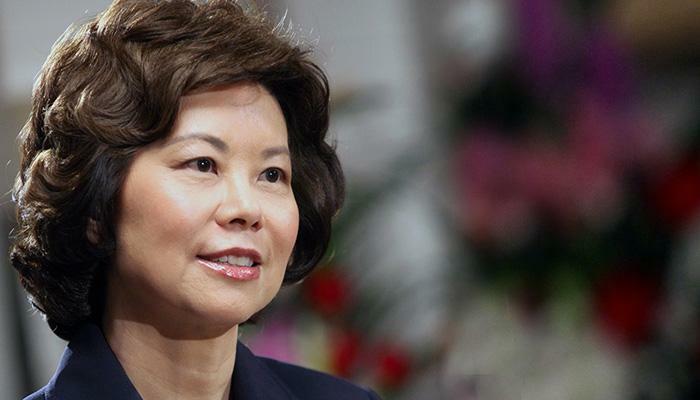 “The U.S. and China are the two largest countries, they must get along,” said Chao, who served as the Secretary of Labor under President George W. Bush from 2001 to 2009. Born to a Chinese American family, Chao was active in promoting bilateral relations. To enhance U.S.-China relations, Chao emphasized public diplomacy and increased interactions between both countries. “Through public diplomacy, through tourism, through student and cultural exchanges, all of these are very helpful for the U.S. and China better understand each other and construct a mutual beneficial relations,” she said.